Dr Oz: How Well Does Your Body Digest Carbs? One of the biggest breakthroughs in medicine right now involves an unsalted cracker. If you have one at home, go grab one and get it ready for an east self-test. 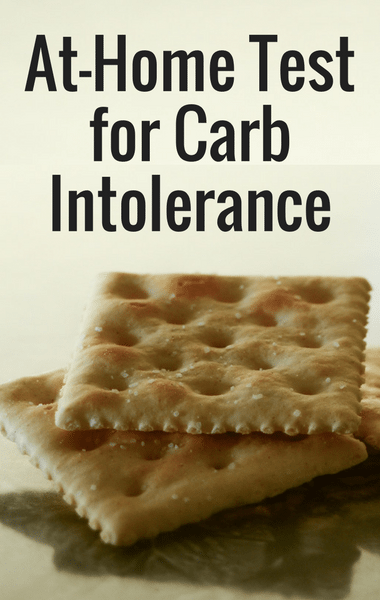 That one cracker can help determine whether you could be carb intolerant, and just how many carbs your body can handle before you start gaining weight. According to Dr Oz, each of us has a carb-type personalized for our body’s chemistry. All you need to figure out what that is, is the cracker. Dr Oz: Are You Carb Intolerant? Dr Sharon Moalem is a scientist and best-selling author, who claims that carb intolerance is similar to lactose intolerance. It has to do a lot with what our ancestors were eating and whether we have the genes to break down the carbs that are passed down from generation to generation. Because blood testing can be hard to do, Dr Moalem came up with a simple way to learn your carb-type, in order to customize your way of eating in a way your genes are able to handle them. The test takes just 30 seconds and you only need a cracker.